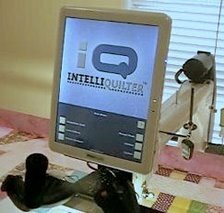 IntelliQuilter Training Videos: iQ Project #1. Part 6. Stitching the first border and sashing..